In response to often being lectured at instead of listened to, struggling teens may use apathy and resistance to gain a sense of empowerment. While we adults usually labels these as “problem” behaviors, they aren’t necessarily a bad thing! Resistance through either defiance (overt resistance) or apathy (subversive resistance) is actually one way a healthy brain can cope with having limited resources to assert choice and individuality. Most of us in the helping professions have been given a solid set of tools for working with defiant individuals, but apathy has a particular way of creating frustration and helplessness in teachers, parents, and even trained mental health professionals. Often the surge of helplessness experienced in response to another’s apathy creates shame, which causes us to often react or dismiss instead of stay present to the teen and what’s happening in the relationship. 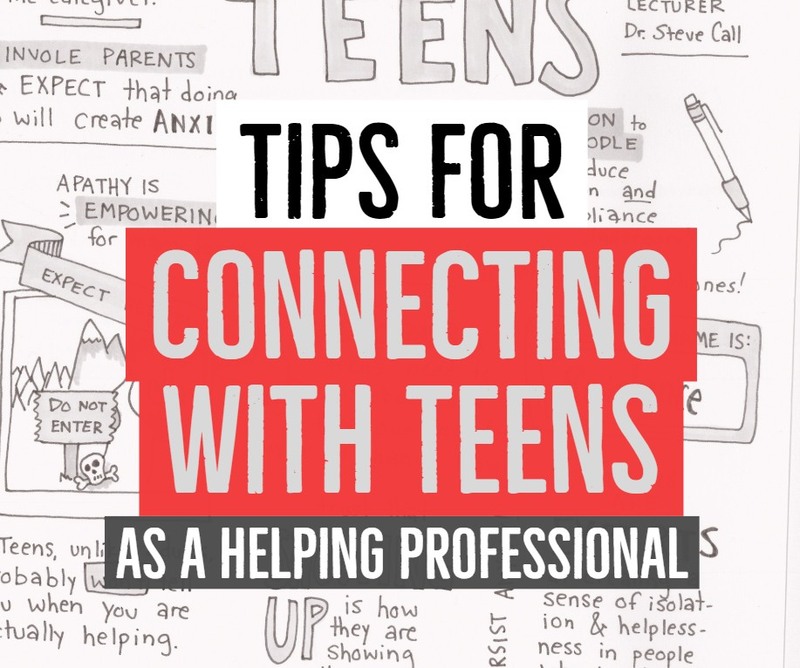 A psych-savvy adult, however, might choose to notice their feelings without judgment and wonder if the feelings of helplessness and frustration might be what the teen *needs* them to feel in order for the adult to understand and respond well to the teen. My friend Page, who has done extensive research on adolescent development, once remarked that “Most of us have so much unkindness towards the awkward teenagers that we once were, that engaging with teenagers brings intolerable feelings.” She continued to explain how adults often automatically disassociate (or “shut down” to avoid those feelings) and make authentic relationships with teenagers far more difficult. This is one reason most of us can benefit from therapy even if we don’t have a mental illness: When unpleasant feelings come, we typically assume the feelings are true, are about us, and must be escaped/destroyed/dismissed. Therapy can help us find our baseline, learn to tolerate uncomfortable feelings, and learn to identify ours vs not-ours, so that we can be more responsive, empathetic humans. Like the sketchnote above? Hit my digital tip jar to get a printable PDF version.